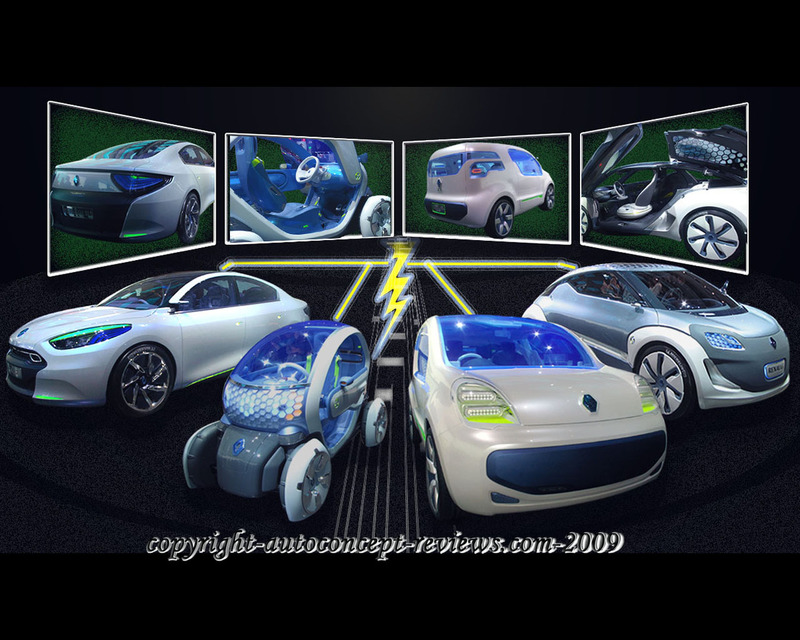 That was the official introduction of Alliance Renault Nissan Zero Emission venture in May 2009 (see Car Reviews - Renault Nissan Alliance Electric Car Project 2009 for further details and illustrations). 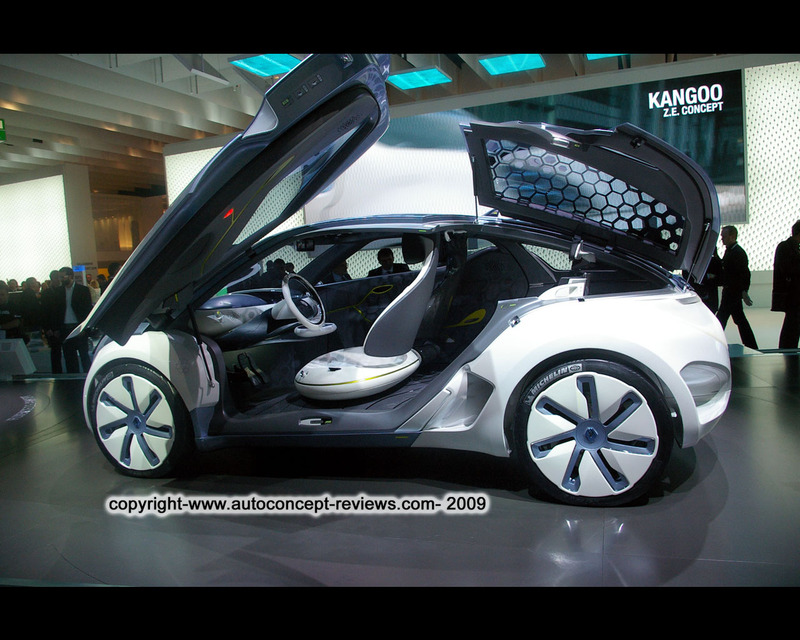 Now on occasion of the 2009 IAA Frankfurt Motor Show, Renault introduces four electric concept cars providing a preview of the Renault's range of vehicles due to be released from 2011. These vehicles are designed to cater for different uses and customers. The ZOE Z.E. 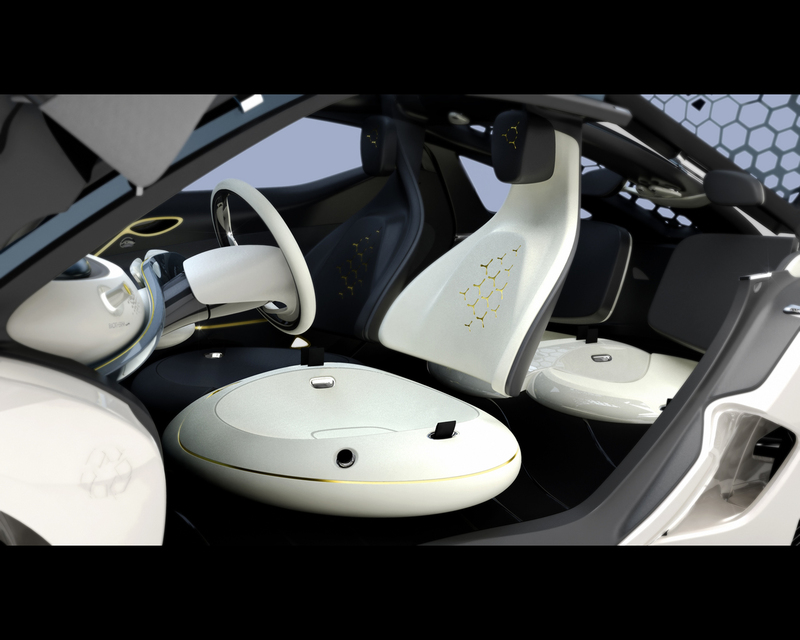 Concept ( see slides 2/42 to 16/42) is a compact versatile car aimed at motorists who use their vehicle for short journeys on a daily basis and who seek a comfortable, relaxing drive in an adjustable cabin. The Twizy Z.E. Concept see slides 17/42 to 24/42) is a definitive city car for busy people seeking an efficient and practical means of mobility. The Kangoo Z.E. 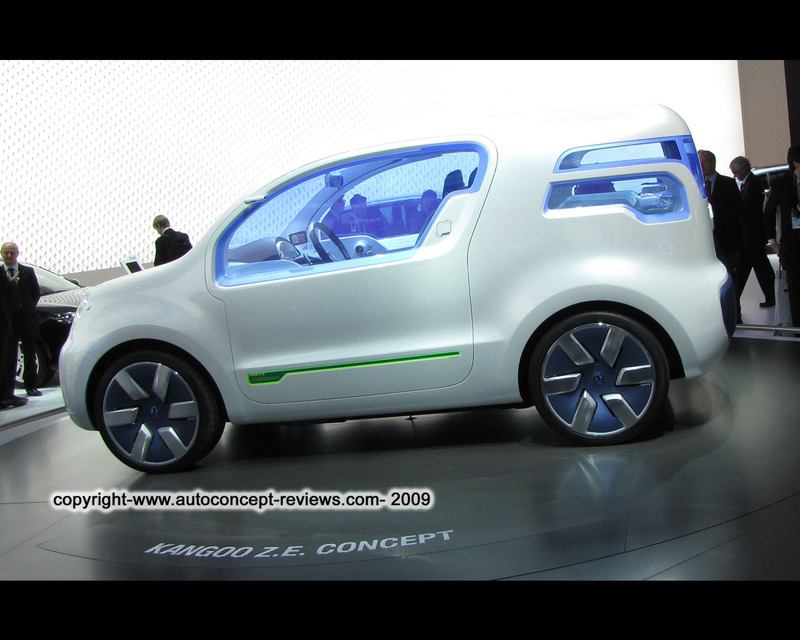 Concept (see slides 25/42 to 33/42) is the forerunner of an electric van intended for fleet and business use. 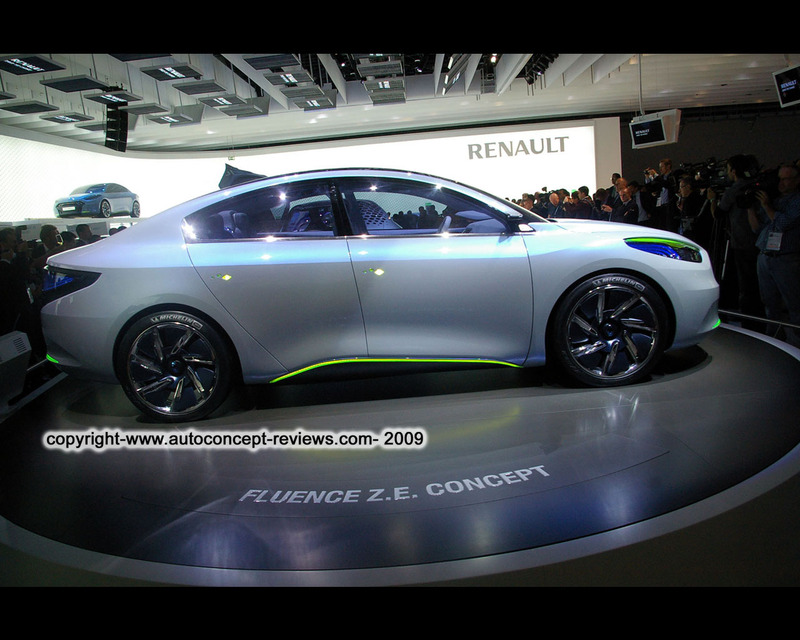 The Fluence Z.E. Concept (see slides 34/42 to 42/42) represents an elegant saloon capable of transporting up to five people in total comfort. 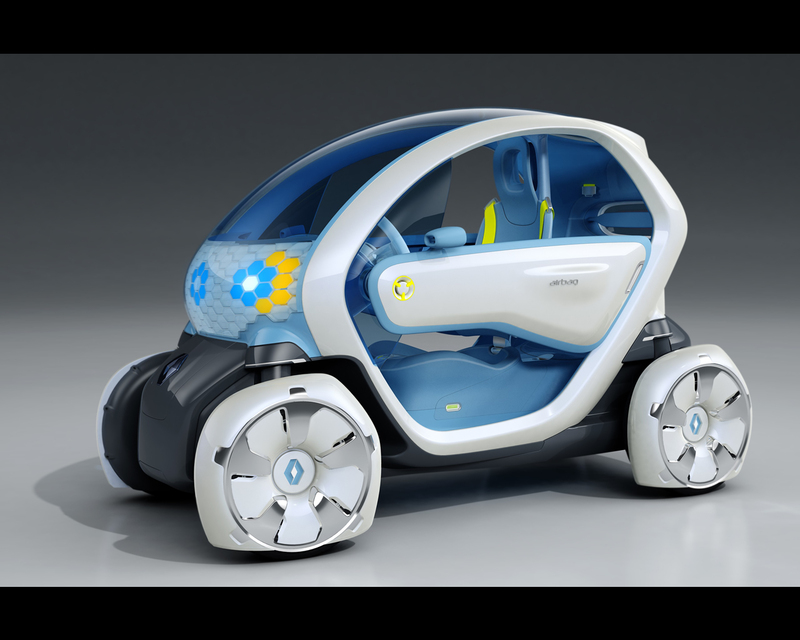 From 2011, Renault will progressively roll out four electric vehicles, including two derivatives of internal combustion vehicles. 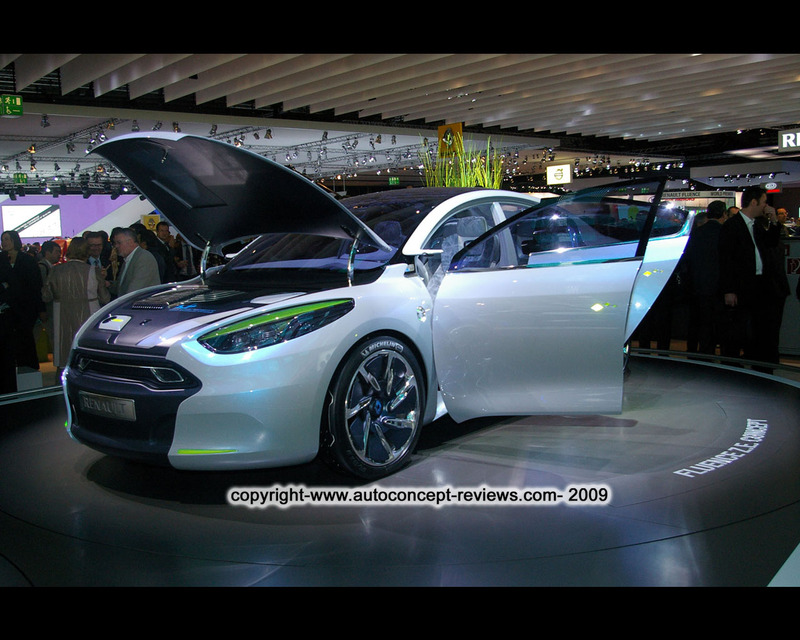 The first will be the electric version of the Fluence which will be initially available in Israel and Europe. 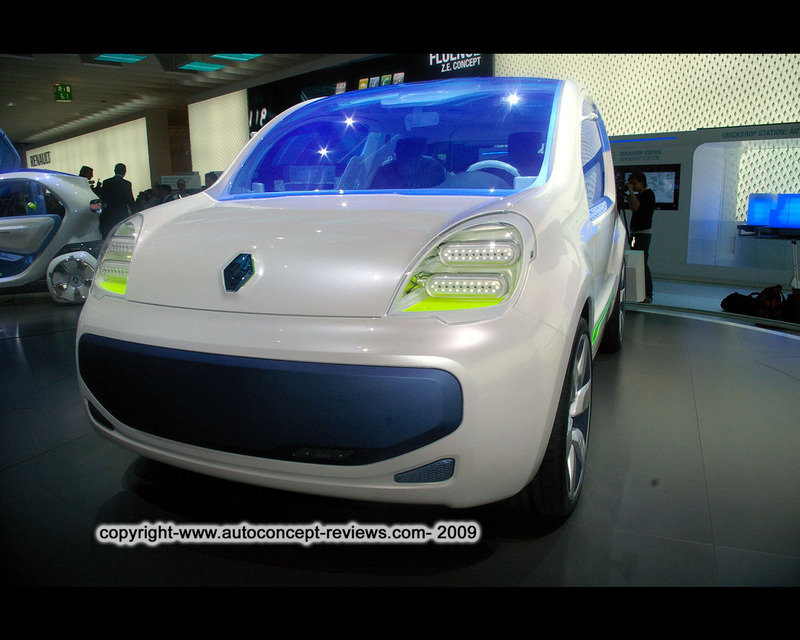 The second will be the electric version of Renault Kangoo Express. The range of electric vehicles will then expand to cover other segments, with two vehicles that will be designed from scratch as electric vehicles. Derived from the Twizy Z.E. 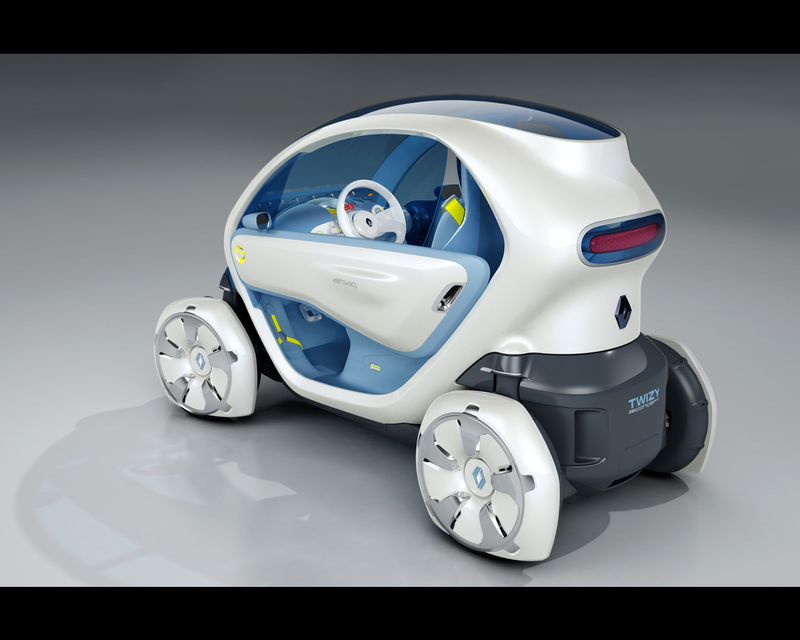 Concept, the third vehicle will target urban mobility. 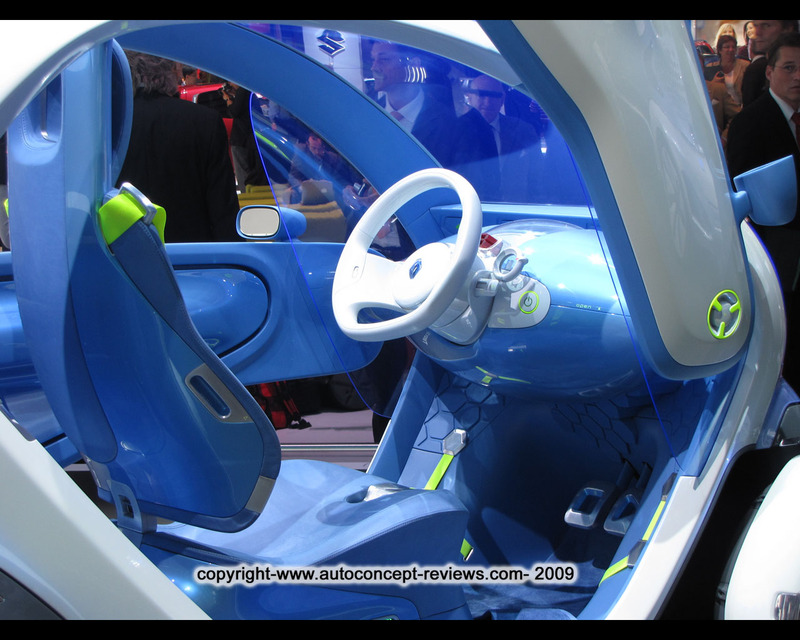 The fourth vehicle, which takes its inspiration from the Zoe Z.E. 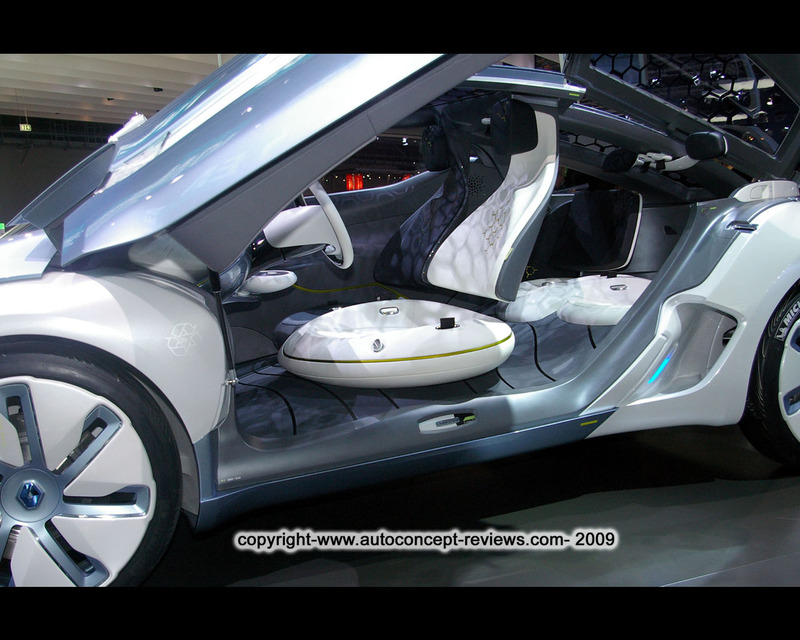 Concept, will go on sale at the beginning of 2012 and will be a multi-purpose daily driver for built up areas. 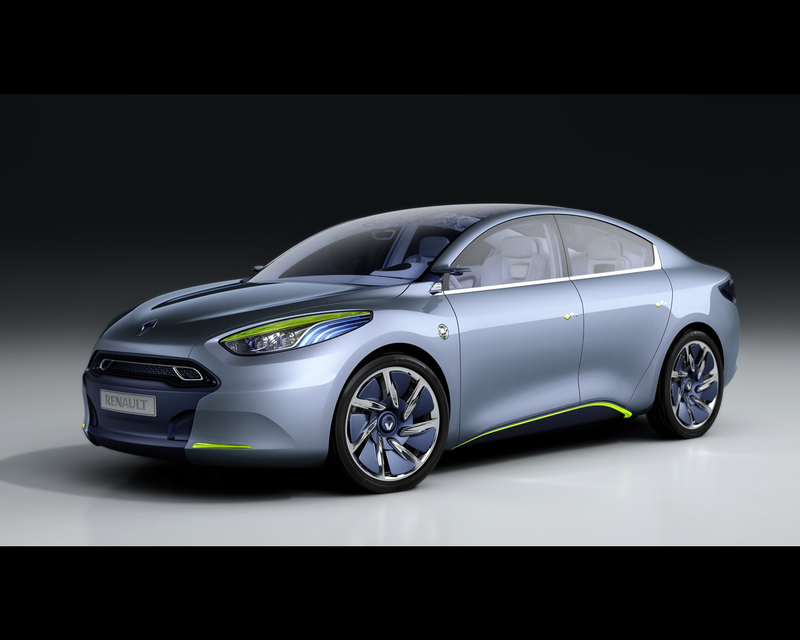 The electric vehicles produced by Renault and Nissan will be equipped with batteries developed by AESC, a Nissan-NEC joint venture. 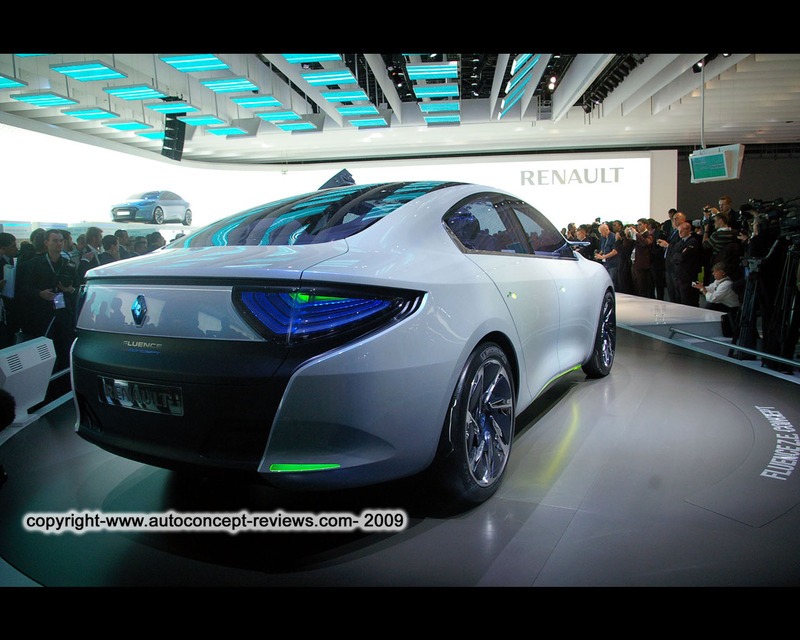 The Renault Zoe Z.E. 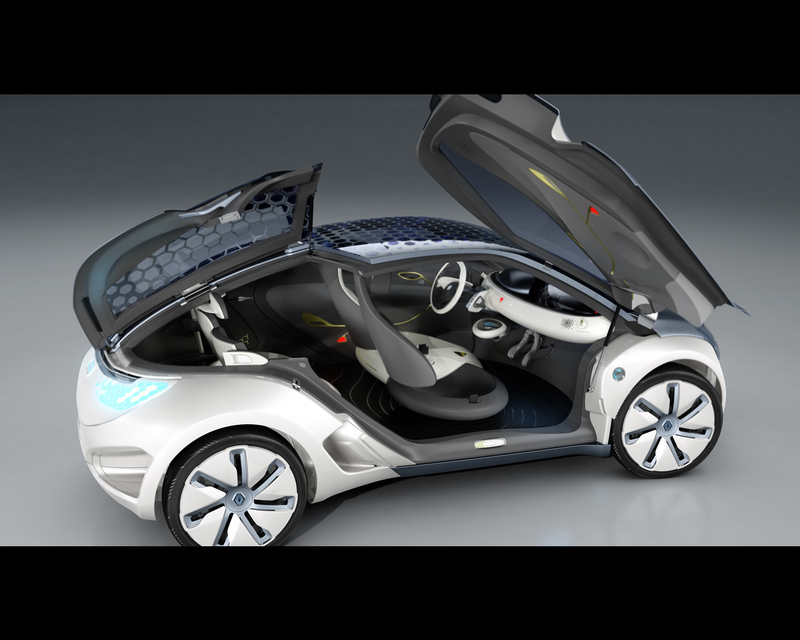 Concept is just 4,10 m long and is powered by a 54 kW electric motor which develops 226 Nm of torque. The 21 inch wheels and large body panels give the four occupants complete peace of mind when travelling out of town. At the rear, a retractable spoiler deploys at speed in excess of 90 kph to make a further contribution to Zoe Z.E. Concept's aerodynamic efficiency. This LED-equipped spoiler also serves as a brake light. The roof has been designed as an intelligent protective membrane that insulates the occupants from heat and cold, as well as optimizing climate control performance by recovering energy via its honeycomb photovoltaic cells. The air intakes situated on either side of the car channel airflow to cool the batteries. The air is extracted through two large channels at the rear end. The interior integrates a climate control system with new features like hydrating function, detox function or active scent function. The Electric motor maximum power is rated at 70 kW/95 hp with maximum torque at 225 Nm. 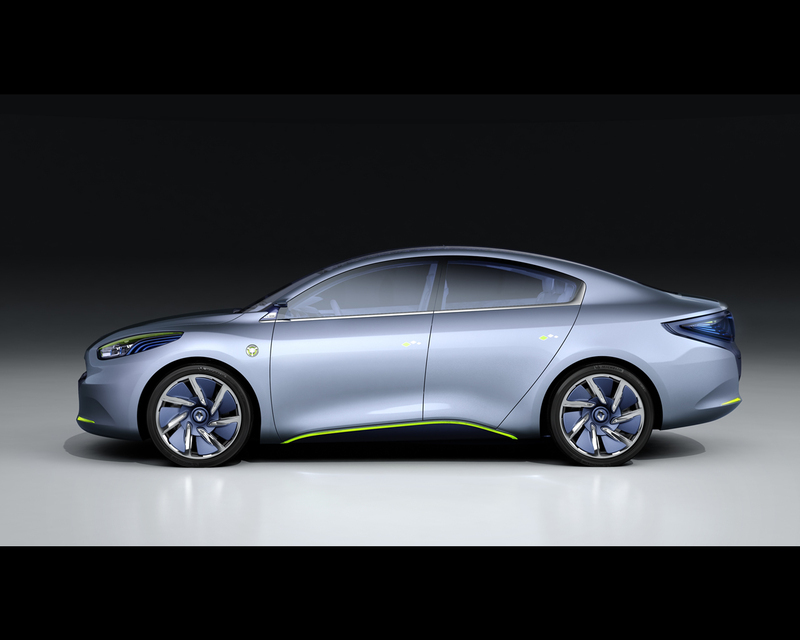 The Lithium -ion batteries provide a driving range of 160 km on one charge. Top speed is announced for 140 kph. The overall dimensions are length 4,10 m, width 1,84 m, height 1,52 m; wheelbase 2,60 m while dry weight is given for 1.400 kg. 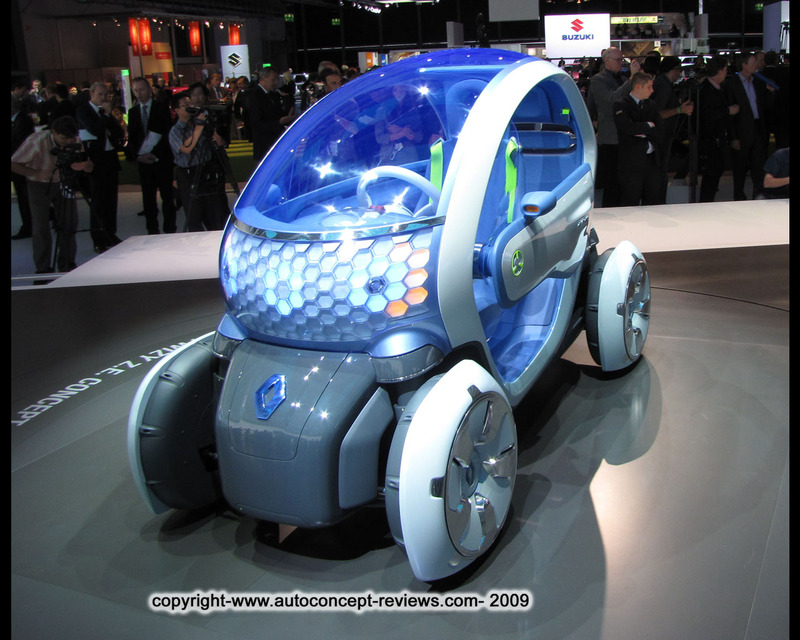 The Twizy Z.E. 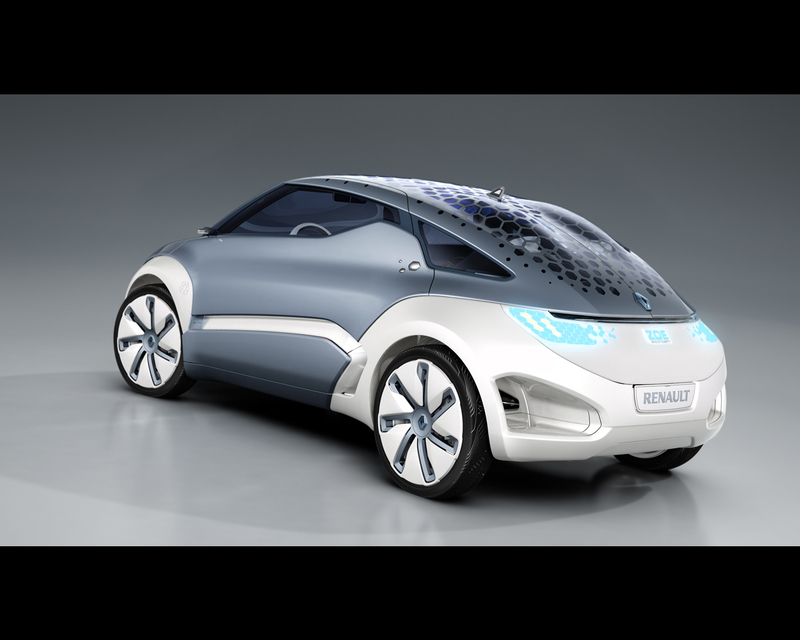 Concept is ultra-compact with 2,30 m length for 1,13 m width. It recalls the BMW C1 motorcycle that can be driven without helmet but with seatbelt, except that the Twizy has four wheel and two seats; for the passenger getting into the rear seat , the seatback is attached to the roof so that the lower part of the seat can pivot. The electric motor is quoted for maximum output of 15 kW/20 hp and provides a maximum torque of 70 Nm allowing top speed of 75 kph. 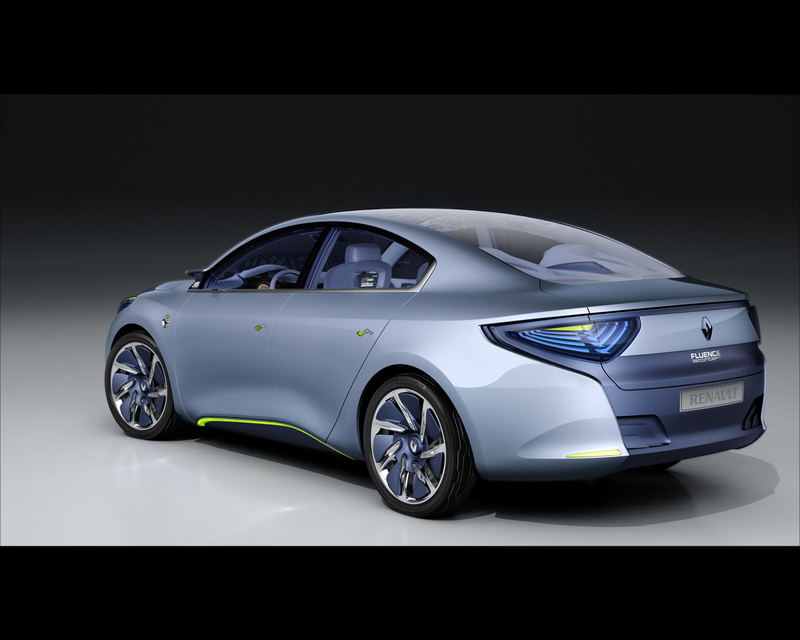 The announced range of the lithium-ion batteries is 100 km. Total weight is 420 kg, complete with batteries. 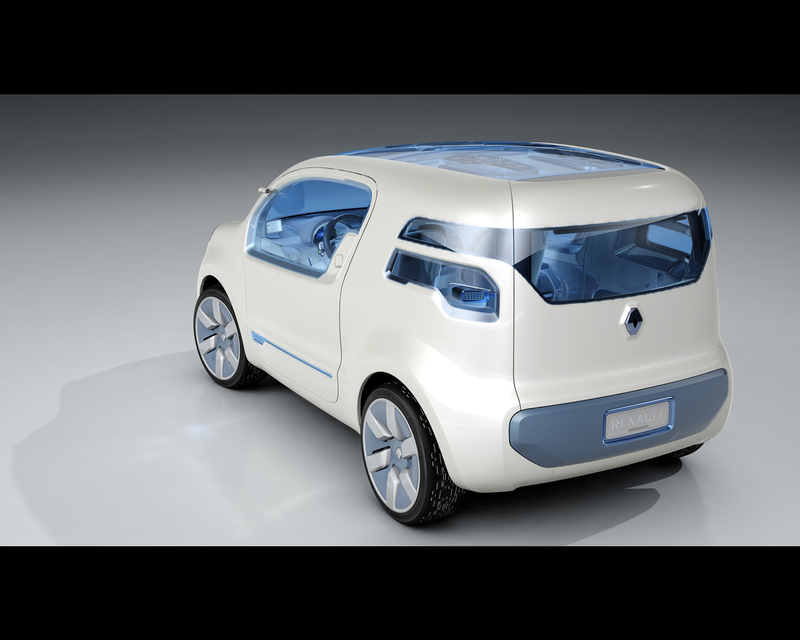 Dimensions are: length 2,30 m, width 1,13 m, height 1,47 m, wheelbase 1,69 m.
The Renault exhibit at Frankfurt also illustrated three battery charging techniques under preparation for the electric car infrastructure. That is standard charge from household socket taking between four and eight hours. The quick charge is announced for 20 minutes at specific station or the new 'Quickdrop' system where three minutes are sufficient for a rapid battery exchange at specific station equipped with robots.